Born at Toronto, Ontario on 17 November 1881, son of Sir Edmund B. Osler and Annie F. Osler, he was educated at Trinity College School (Port Hope) and the Royal Military College at Kingston. 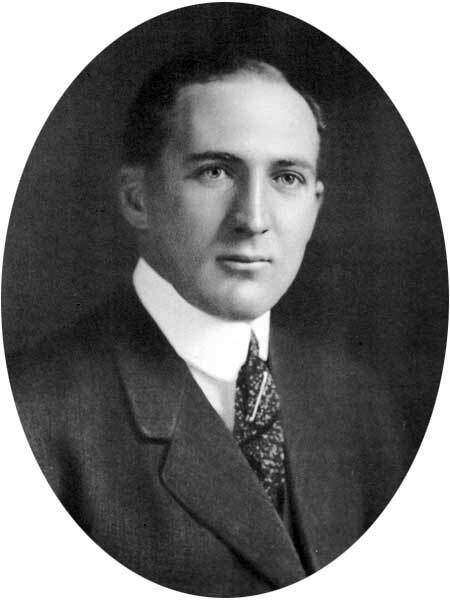 He came to Winnipeg in April 1903, and was connected with the investment firm of Osler, Hammond and Nanton for the rest of his life. He was also President of the Manitoba Cartage Company and the Calgary and Edmonton Land Corporation Limited. He was a director of the Great-West Life Assurance Company, North Star Oil Limited, Calgary and Edmonton Land Company, and the Winnipeg Better Business Bureau. In 1939, he was appointed a member of the Canadian committee of the Hudson’s Bay Company. He joined the Canadian Expeditionary Force and went overseas with 43rd Battalion (Canadian Highlanders) in 1915, serving in England and France until the Armistice. He was Major of the Second Command 79th Regiment; 2nd in Command, 43rd Battalion (Canadian Expeditionary Force, Cameron Highlanders of Canada) December 1914 to July 1916; in command 174th Battalion, Canadian Expeditionary Force (Cameron Highlanders of Canada) August 1916 to April 1917; command 1st Depot Manitoba Regiment, September 1917. On 20 November 1907, he married Kathleen Harty (1882-1929) of Kingston, Ontario. They had six sons: William Edmund Osler (1908-? ), John Cochran Osler (1912-1913), Hugh Osler (?-1920), John Harty Osler (1915-2005), Edmund Boyd Osler, and Gordon Peter Osler. His home at 485 Wellington Crescent in Winnipeg, where he lived from 1909, was designed by architect Herbert B. Rugh. After the First World War, he and his wife moved to a larger home at 221 Roslyn Road, previously owned by John Galt. After his wife’s death, he married Embree McBride (1897-1984) of Winnipeg, in 1931. With her, he had a seventh son, Alan Embree Osler (1933-?). Osler was a member of the Manitoba Club, York Club (Toronto), St. Charles Country Club, Winnipeg Winter Club, Lakewood Country Club, and Pine Ridge Golf Club. He was a founding director of the Lakeside Fresh Air Camp for Children on Lake Winnipeg and, in 1929, one of the initial benefactors of the Ravenscourt School. He died at his Winnipeg home, 246 Dromore Avenue, on 8 December 1943 and was buried in the St. John’s Cathedral Cemetery. Death registration [Kathleen Osler], Manitoba Vital Statistics. “Host of friends mourn death of Mrs. H. F. Osler,” Winnipeg Tribune, 23 December 1929, page 3. “Lt.-Col. Osler, financies, dies,” Winnipeg Free Press, 8 December 1943, page 1. We thank Benjamin Hugh Osler and James Arnett for providing additional information used here.